If you live in a country outside of the USA, you will need to set your country date format. Click File > Global Settings. 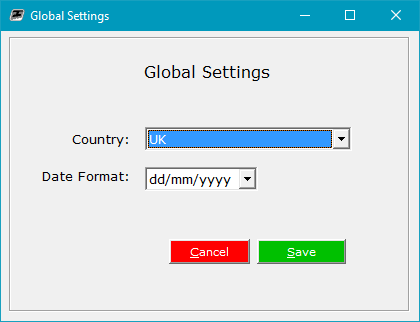 The Date Format should default to the correct format for your Country, but change it if desired. Dates will globally appear throughout TouchPad in the selected format.